If Emrel had to pick one word to define her, that word would be creativity. Her mind is always racing with ideas. She always remembers her life being this way, with having ideas for characters for stories dancing in her head. She’s always been interested in the arts, mostly drawing and storytelling. Even though she is an artist, to her being a writer is more important. Emrel is a first year staffer this year. This is her senior year. Other years she was hesitant to join because it was all new to her. For her, creative writing is her major love and passion. Journalism is a completely different style of writing, and she was always afraid to try her hand at it. This year though, she decided to take on the challenge to learn how to write journalism pieces. She wants to learn as many styles of writing as she can to become better. Emrel hopes to learn a lot this year. 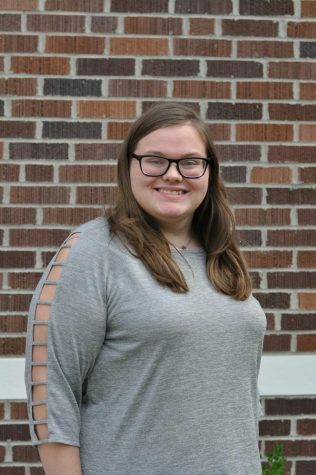 Even though she considers herself more of a creative writer, with writing her own fantasy novel, she is excited to take on the new challenges this year brings.